﻿We provide absolutely awesome and affordable limo accommodations to every big sports event in Ottawa. Remember the time you went to a big sports game and you came outside and there was a huge line of taxis to deal with? You looked around and it was free-for-all to get a taxi and you soon realized that you'd be spending the rest of your evening attempting to get a ride home. Maybe this story rings true or maybe it hasn't happened to you...yet. Either way, don't get stuck battling for a sub-par ride home when you could be cruising comfortably in an immaculate vehicle. We provide service to and from the game wherever you may need to go. Don't let a simple thing like transportation potentially stand in the way of having a great experience watching one of the outstanding live sporting events that Ottawa has to offer. Ottawa Senators Games - The most popular sporting event in Ottawa is also the most difficult to travel to and from. If you've ever been to a game, then you know this all too well.﻿ Perhaps you've never actually been to a Sens game - well, take a tip from us and realize there is a very slim chance of getting a quick and comfortable ride home from the Canadian Tire Centre. We provide rides to and from games all year, so just give us a call to book ahead for the game you're scheduled to go see. More info on our Sens Limo Service is available here. 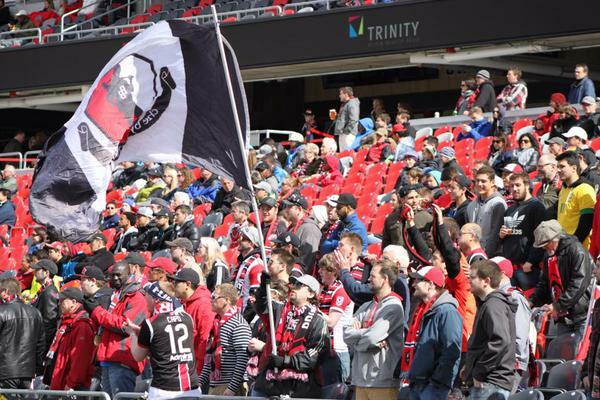 Ottawa Fury FC Soccer Games - Heading to TD place to catch a Ottawa Fury FC soccer game? Don't get caught in the crowd waiting for a taxi home with a bunch of tired hooligans. English-style-football fans have been known to have a few pops at the game, so don't try and drive home or fight through the crowd when you could have a stretch limo waiting for you as you leave the stadium with a cold drink in hand and the vehicle temperature just right. Ottawa Redblacks Games - Have your own tailgating party in one our spacious limos before the game without having to worry about the ride home! Everyone will know you mean serious business as a fan when you roll up in a limo ready to cheer on the home team. Ottawa 67's Games - The 67's have been one of the most successful junior ice hockey franchise in the game for more than 30 years, so it's no wonder their games are such a popular destination. We provide top-shelf limo transportation service both to the Canadian Tire Centre and TD Place Stadium depending on where they are playing. Whether you are planning an outing to any of these games, or any other sporting event in Ottawa, you'll be a winner by riding with us.